A deeply powerful film about the Irish hunger strike in the early 80’s, at the height of the ‘troubles’. For such a difficult subject matter, this is a very confident debut film from Steve McQueen, that shows off his talent for long takes and pushing his actors to produce incredible performances. The film is about the most famous of the hunger strikers, Bobby Sands (superbly played by Michael Fassbender), the de facto ringleader of the imprisoned IRA members, although interestingly, we don’t see him for the first half hour. The film begins with an unnamed prisoner being placed into maize prison, and the horrific conditions the prisoners are living in are conveyed wordlessly with tracking shots through the corridor and the cells. McQueen is careful in his direction, taking an observational view on the situation, rather than attempting to judge, and the film is far more balanced for it, with no efforts to glorify or to decry the actions of Sands and his fellow prisoners. The pinnacle of the film is an astonishing 17 minute scene between Fassbender’s Sands, and Liam Cunningham’s priest, where Sands announces his intentions to go on hunger strike and his reasoning behind it. The conversation is engrossing, superbly acted and provides a fascinating insight into the mindset and beliefs of the two men. 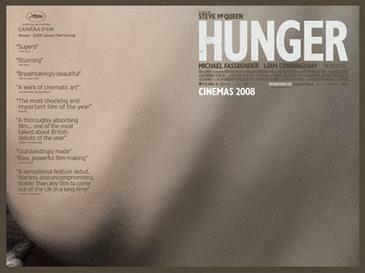 The scenes that follow are hard to watch, showcasing the dehumanizing effects of starving yourself without compromise. This is a very interesting film, extremely well made and tasteful about a very difficult subject. I firmly disagree with the actions of Sands and his fellow strikers, but there is no denying the strength of their beliefs. The most telling piece of information for me comes at the end of the film – Sands and 9 other prisoners died through going on hunger strike, whilst during that time, 16 prison guards were murdered. Where was the justice for those men? what you’re speaking approximately! Bookmarked.